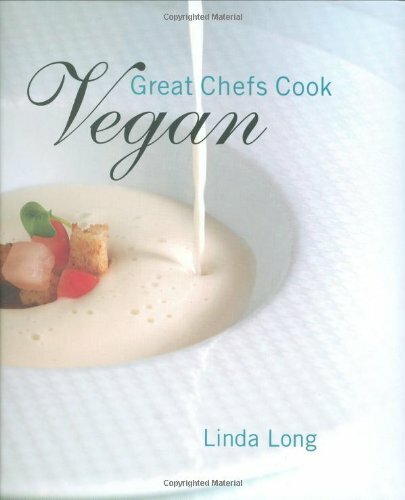 Great Chefs Cook Vegan includes recipes from 25 of the greatest chefs, including Thomas Keller, Jean-Georges Vongerichten, Daniel Boulud, Charlie Trotter, and many other James Beard Award-winning chefs. Each chef provides a delicious three- or four-course vegan meal, complete with beautiful photography of mouthwatering dishes like Baby Beet Salad with Pistachio Vinaigrette and Chickpea Fritters, Sweet Pea Ravioli with Sauteed Pea Leaves, Stuffed Baby Bell Peppers with Sunflower Seed Risotto, and Chocolate Cake with a Chocolate Truffle Molten Center. Now, with instruction from the great chefs themselves, anyone can create a delicious vegan meal that is more appetizing than the standard steamed vegetables and pasta we all envision. Wolfgang Puck Pizza, Pasta, and More! Wolfgang Puck's Pizza, Pasta and More!